After shopping all night at the mall with my sisters and close friend, I thought I would share some of the little, yet special things that I bought. The purchases range among 4 stores including Forever 21, Icing, Windsor and Booksamillion. For a heads-up, I wasn't particularly in the mood for shopping for clothes, let alone having to go to the changing rooms to try them on (anyone else feel the same?) so I mainly focused on accessories. Let's get started! Walking into Icing, one of my favorite stores in the mall, we found that there was a "get three, get two for free!" discount on the entire store so my sisters and I combined our items so we could save some money. Some days, I love to slip a dainty flower crown on top of my head so when I saw one in the store with creamy-colored flowers adorned here and there, I decided to add a fourth crown to my collection. I also bought two small and simple white flowers that can clip into the hair. In my case, I will probably place one of them near my bun from time to time. The last item is a metallic silver, futuristic set of headphones. I always seem to be losing my small headphones that are supposed to be kept safe and sound in my purse so I hope this time they won't meet the same fate. Another flower crown caught my eye at Windsor. I debated whether or not I should buy it since it featured the patriotic pattern of American colors red, white and blue which might only be suitable for holidays like July 4th. But then I thought, why not support my country any day I feel like it. The flowers were also big enough to not be too big on my head so I decided to go through with the purchase. 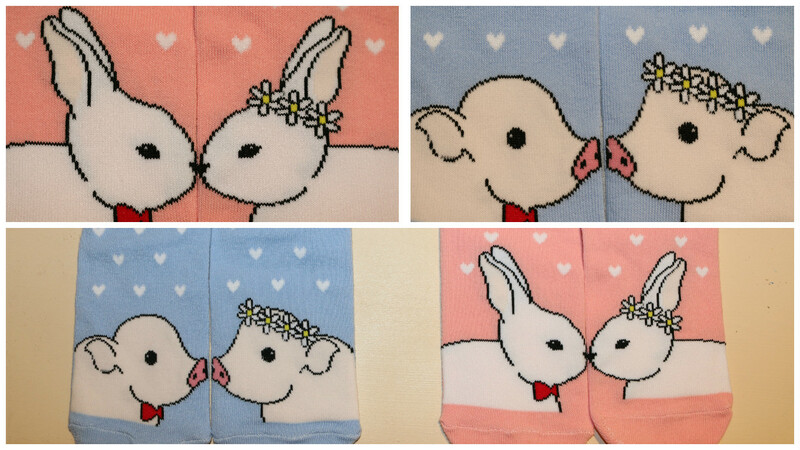 While my sisters perused Forever 21 for some clothes, I settled on two pairs of the cutest socks you could imagine, that is if you fawn over baby animals! We always pass the book store when we go to the mall, but this time I felt the need for a satisfying book (especially since I just graduated and don't have to read another summer book that will take up my time!) so we paid "Bookamillions" a visit. I was open to whatever kind of book caught my eye. I picked up many books, read their descriptions and flipped through the pages, but no storyline really appealed to me. Finally, I came across this book with a simple flower in front of a pale blue background and was interested by the title, "She walks in beauty." When I read the description on the back, I was convinced that this book would be a worthwhile read. It is essentially made up of poems selected by the author, Caroline Kennedy, compiled into different chapters that represent the different milestones of womanhood such as "falling in love," "friendship," "beauty," "breaking up," "marriage" and more. After flipping through the pages to land on a certain poem, I ended up reading "Wild Nights - Wild Nights!" by Emily Dickinson. Quite a "wild" poem if you ask me! I do like how simple and poetically graceful the poem is, and so I knew that this book would be full of poems that were based on quality over quantity. I also think it's the perfect book for me to read now that I've graduated from high school and have been slowly transitioning into an independent young lady - adapting to a world full of relationships, obligations and roles. After reading 1/3 of the book within a couple of days, I've found that I can relate to some of these poems when I have certain feelings I don't know how to shed light on or make sense of. Upon coming home and showing my mom the new book I got, she asked me if I recognized the name of the author. Not really focusing on the author or who her name was tied to, I then realized that Caroline Kennedy was none other than the daughter of Jackie O. I couldn't help but laugh over my absent-mindedness at not recognizing the name Kennedy, as well as the fact that once again, I have done something related to Jackie O. These past few weeks, my family has remarked on the big sunglasses and old-fashioned dresses I've been trending, and how they've often reflected the classiness of Jackie's style. And now I've now gone so far as to buy her daughter's book! Guess I keep coming up with more ways to shadow her sophisticated style of living. So that's all of it! Not much, but enough to satisfy a short visit to the mall with my close friends. I hope you enjoyed getting a sneak peak into my "mall haul" and I hope you have fun on your future shopping sprees this summer. My sister also uploaded a video on her Youtube channel, McKennaMakeup_ 15, showing you what she got at the mall. 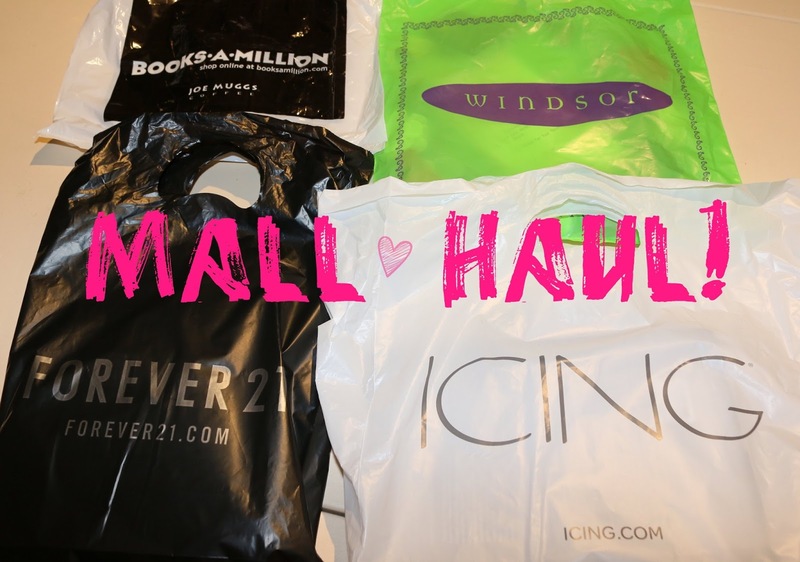 Her haul video includes trying on different kinds of shirts and shoes that she bought so you can watch that here if you're interested!